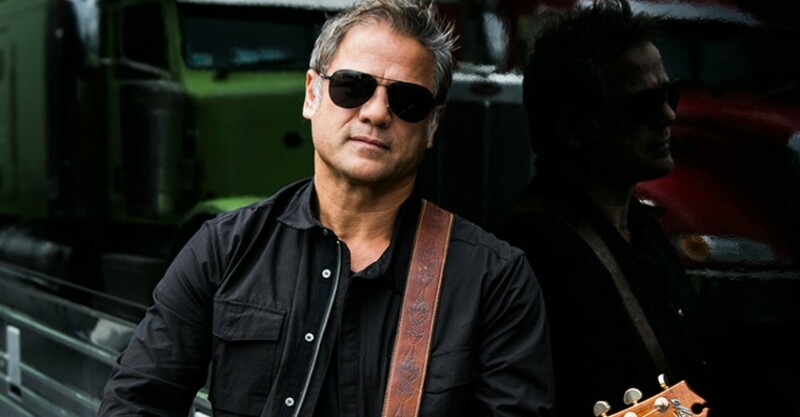 Jon Stevens has had a stellar career and worked with some of the greatest musicians of all time and you could tell why this is so after witnessing this performance. Jon’s first time in The Spiegeltent proved to be successful as he set the scene in this iconic venue and continued rocking for one solid hour. Kicking off with a couple of Noiseworks’ numbers, Reach Out and No Lies, to get the crowd warmed up it was then time to turn to his latest album, Woman. Joined on stage by some incredible Australian talent including Dario Bortolin on bass, Danny Spencer and Sammy V on guitar and Johnny Salerno on drums, Jon had no time to talk as he crammed as many of his new songs as he could in this short one hour timeslot. The new songs are edgy and very dance worthy, and the crowd reacted by getting out of their seats and up to the front throughout the show. Standouts were the title track, Woman which is a rock (and can even go as far as grungy) track with catchy lyrical content, Flesh And Bones which was penned post Lindt Café siege and In Your House, which he wrote with his son. The album is definitely full of catchy riffs and melodic choruses. Jon’s voice is remarkable, fans have seen him in many roles over the years and every performance is outstanding, Jon is a true showman. I don’t think you could ever see Jon perform and leave let down, it is just not in this old-school rockers DNA. John is a dedicated musician who puts 100% into every performance and will always strive to give his all to his fans. The amalgamation of Jon’s musicianship and raw talent and the venue, The Spiegeltent was truly spellbinding. Outstanding performance by a true showman.